Of the 317 candidates, 118 are independent, 42 from national parties, 4 from state parties and 84 from registered unrecognised parties. Scrutiny is on Friday and last date of withdrawal April 8. As many as 317 candidates have filed nominations in 14 Lok Sabha constituencies in coastal and northern Karnataka for the second phase of polling on April 23, said an official on Thursday. “With the last day of nominations for the second phase ending on Thursday, 317 candidates have filed 457 nominations as some of them have submitted more than one set of papers to the Returning Officer,” Election Commission official Surya Sen told IANS in Bengaluru. Scrutiny is on Friday and last date of withdrawal April 8. Of the 317 candidates, 118 are independent, 42 from national parties, 4 from state parties and 84 from registered unrecognised parties. 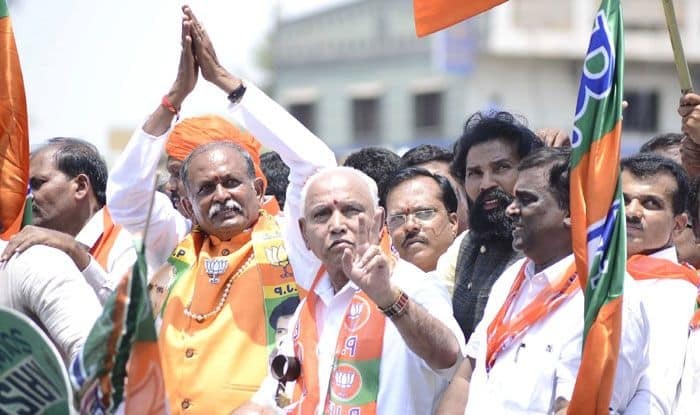 The 14 constituencies to vote in the second phase are Chikkodi, Belgaum, Bagalkot, Bijapur (SC), Gulbarga (SC), Raichur (ST), Bidar, Koppal, Bellary (ST), Haveri, Dharwad, Uttara Kannada, Davanagere and Shimoga. Belagum tops with 66 candidates, followed by Bidar 35 and Davangere 28. In Raichur (ST) seat, only eight candidates have filed nominations, while in Bellary (ST), Chikkodi and Shimoga 14 candidates each have filed nominations. Polling in the first phase will be held on April 18 in 14 parliamentary seats in central and southern regions of the state. In all, 241 candidates are in fray in the first phase after withdrawals on March 30. Counting of votes for all the 28 Lok Sabha seats will be held on May 23 along with the rest of the country.